The big presentation is tomorrow, and your best shirt needs to be pressed. In the melee of your morning prep, you forget all about the iron you left resting on the shirt. Disaster, right? 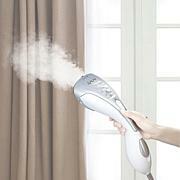 Not with this rapid-heating smart iron, which helps prevent scorching by raising itself off a surface when not in use. And its automatic shut-off ensures that when you hurry out of the house, you don't have to rush back to turn off your iron. Catastrophe averted. I just started learning to quilt and I needed a good iron so I could get seams, corners and points pressed properly. 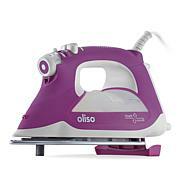 I looked at this and another brand that was a little cheaper, I am SO HAPPY I chose the Oliso!!! The steam feature is the best I've ever worked with and I absolutely love the "iTouch", plus the feet on it that automatically lifts it off the board when not in use. It is worth every single penny!!! 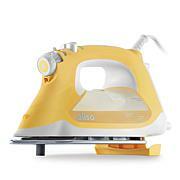 This iron is great it gets nice and hot it has auto shut off. It steams well. It has an automatic stan that comes out when you place it down so it won't burn.... this can be a pain because there is a sencer. 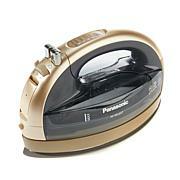 At time it gets caught in clothing so you have to keep the iron down at all times when in ironing. If lifted the the legs come out. 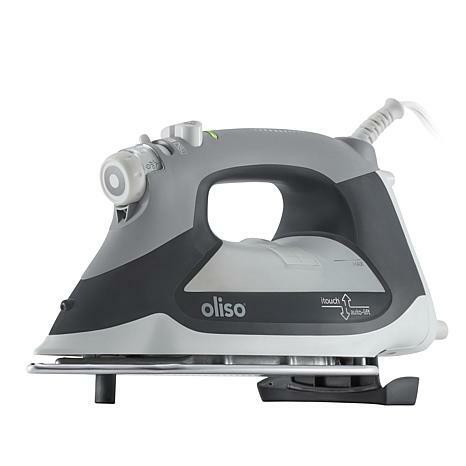 I bought this iron because it was something different and cool. The price did not bother me at all. It was back ordered and took a long time to come. Once it came, It was not what I expected it to be and decided to return it. I was not able to print a return label and went on the chat option. the customer service rep. told me that this item was through a partner company that did not participate in the easy return label. I was very upset by this. No where in the item description does it state this return policy giving a customer an option to buy the item or not. The only response they gave was they were sorry and hoped i would continue here. The service rep. said she would forward the info to management. This is not helpful to me. I have been along time customer of this company and its competitor. the other company would never work with a partner that does not share its value of customer service. Lesson learned. i can buy an iron someplace else.